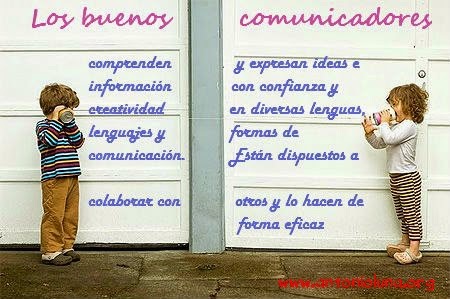 Another poster to use in your class. 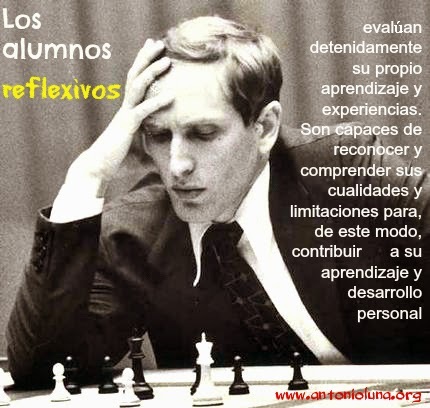 The image is a very famous one about Bobby Fischer who perfectly reflects this attribute. 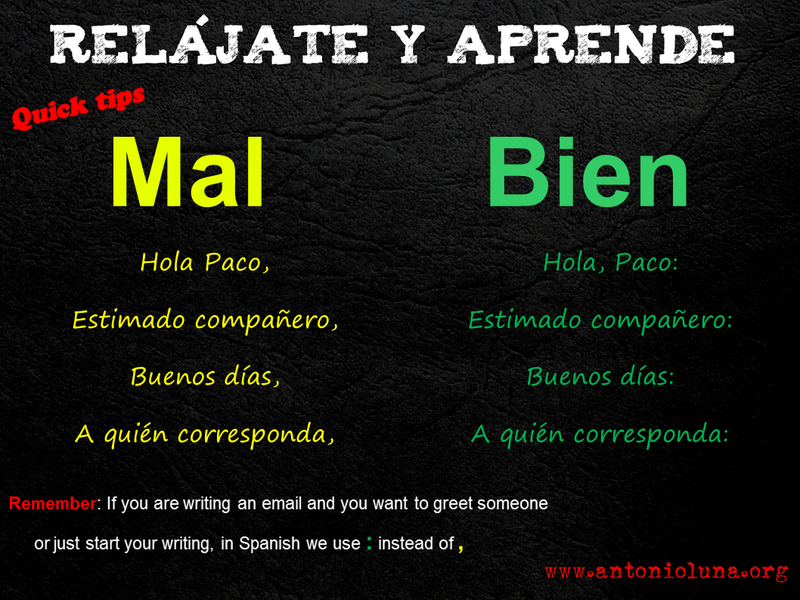 My name is Antonio Luna and today I am going to be your Spanish teacher. aThank you for your attention and do not hesitate to ask any questions or ask for any clarification during the lesson. To know the gender of the nouns in Spanish is crucial because all articles, adjectives, pronouns... need to agree with the noun in gender when you are making a sentence. We already talked about an acronym than can help us remembering which ones are masculine and feminine: LONERS. 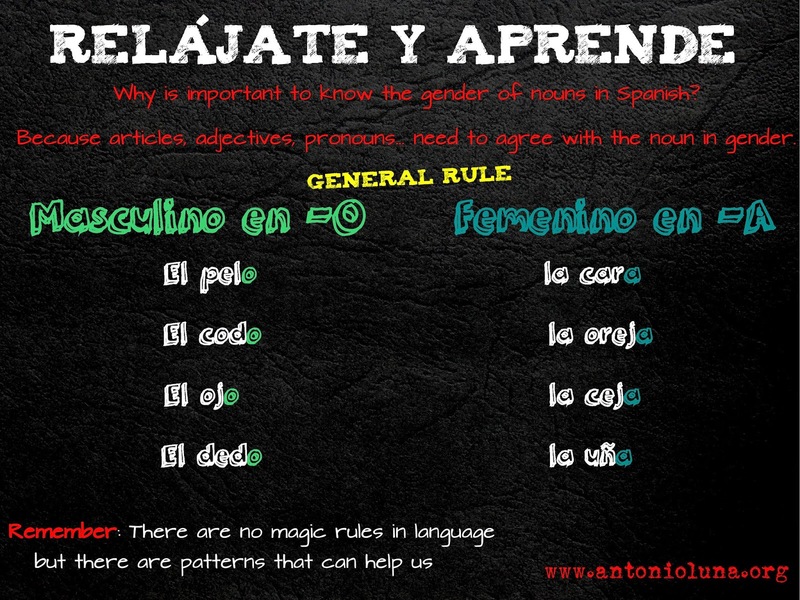 This is certainly a very useful tool to learn this important concept when learning Spanish, but as we always say there are no magic tricks when learning languages but there are patterns that can help us in the process. 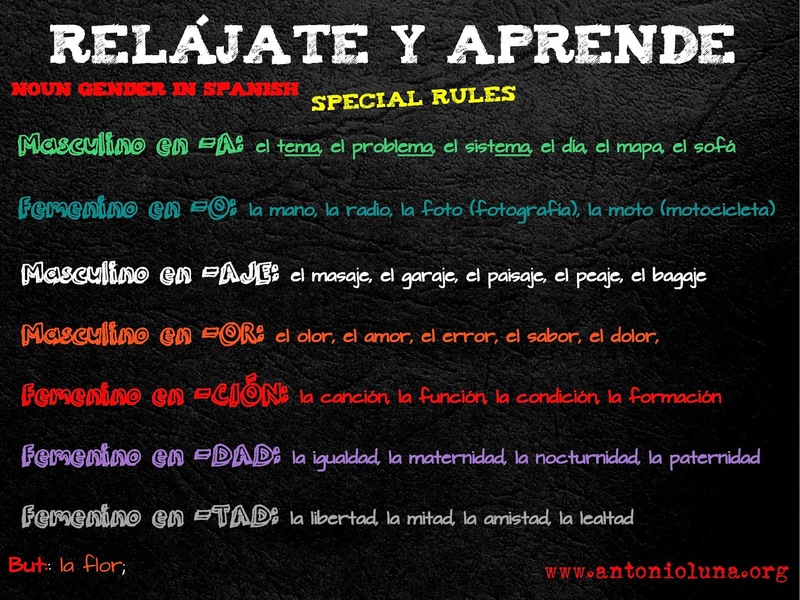 The most general rule is simple and easy as you can see in the poster we present in this post.